Suresh chose Northwestern College because it offered the three majors he was initially interested in. 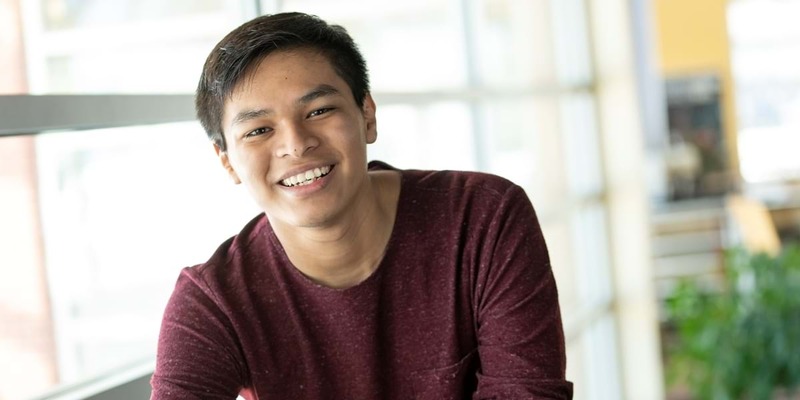 But just a month before coming to campus, he decided to switch majors to translation and interpretation, inspired by his experience interpreting during his Spanish-speaking church’s services. A double major in translation/interpretation and worship arts, Suresh has been a part of Northwestern’s worship teams, planned monthly Spanish chapels, participated in the NC/DC singing competition, and helped lead the International Club. He also assisted missionaries in France during a Summer of Service experience. I have loved working with every professor in the Spanish department. They are all so kind and all demonstrate their dedication to students and their jobs. Also, having class with other Spanish majors has been a fun experience. Having grown up in a Hispanic culture, I have greatly appreciated the care that the department has shown for my culture, talking about it in class and especially out of class. To me that has shown that it is not just material for them, but it’s something they have dedicated their careers to. Given that I want to go into translation, I could not have asked for a better professor than Piet Koene. It’s because of him that Northwestern’s program exists (one of only four colleges in the country that offer the translation and interpretation major), and it has helped to know what his experience was when going into the field. I believe I’ll be ready for wherever God takes me because of that. At Northwestern, I’ve gained many friendships with people from all over the world. I’ve learned about different cultures, languages and communities. I believe NWC has helped me further define my values and principles through diverse conversations and interactions with those around me. I have grown a lot in confidence and as a person since the first time I stepped on campus.